Just a couple of days ago, rumors floated claiming that Bethesda has planned to release more DLCs and expansion packs for Fallout 4. The developer has some different plans and they officially confirmed it with an announcement. Nuka World DLC is going to be the last for Fallout 4 and they don’t have any plans to further roll out new ones. The information came from Peter Hines, marketing executive at Bethesda. Hines added that fans shouldn’t expect any more content to be rolled out by the developers because the team is going to focus on other important things in hand rather on working on the same title. The confirmation came when an eager fan asked Hines whether Bethesda will bring more paid DLCs for Fallout 4. He took to his Twitter handle to answer the question. There, we have it now. It is time to start focusing less on official content and more on mods. Fallout 4 is a title that is known for its amazing mods, same in the lines of Bethesda’s Skyrim. The team is also busy working on the remastered version of the five-year old game which still has thousands of players online on a daily basis. 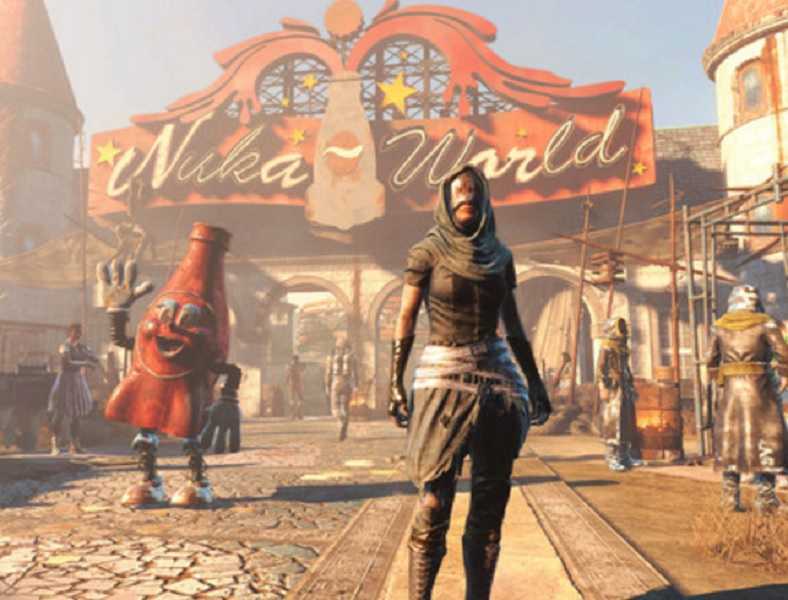 Nuka World DLC is priced at $20 and the pack is expected to further expand the storyline with brand new characters, maps and missions to explore. The mission takes place in an amusement park. Multiple park zones are being introduced with the expansion pack. The names are Kiddie Kingdom, Galactic zone, Safari adventure and Dry Rock Gulch. Apart from this, developers have also added new weapons, creatures, quests and raiders. With such a completely new setting, the game could be fun like it has always been but for the last time. Meanwhile, modders are furiously working to bring the best out of Fallout 4. A couple of amazing mods were lasted in the past few months and more are under development. For all open world titles created by Bethesda, modding has been an important feature that kept the games relevant for many years. Sensing the importance, they have rolled the feature out to PS4 and Xbox One consoles. The consoles are limited in terms of file size and textures to be used. Bethesda is working to find a solution so that PS4 and Xbox One owners could experience the best mods for Fallout 4 on their favorite platform. Patches are to be rolled out in the following weeks. Bethesda needs to realize that some of us would rather be exploring new areas than building stuff we could care less about.